I called this entry The Farmer Stands Alone to remind you (or your students) that when there is a variable in an equation, it belongs on the LEFT side and needs to stand ALONE. 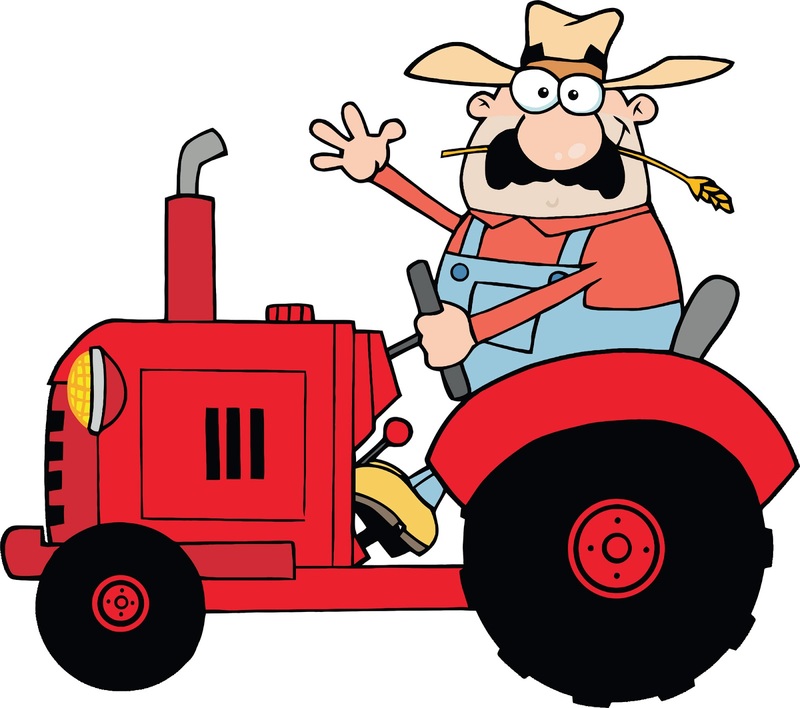 Since we will be moving things around in the equation, I chose the farmer on his tractor to remind you. This gets kids ready for the y=mx + b equation, where y needs to stand alone so that you can begin graphing it on the y axis (or yellow axis) as I've relabeled it. Even adults have trouble remembering which axis is y and which is x, but they can remember that the y stands for yellow and it goes up and down on the map. If you want to stay with the farmer analogy, tell them the yellow y stands for the color of corn. The farmer needs a map to find his way around his fields. See my Pirates and Graphing blog to understand this better. (www.funjani.blogspot.com). Hit the math tab. I am going to give you examples with the answers right there, so you don't have to go to the back of a book to find out if you were doing it correctly. 1. 4x-7 = 2x + 15. Let the variable always stand for the farmer. Move the 2x to the left side of the equation FIRST. 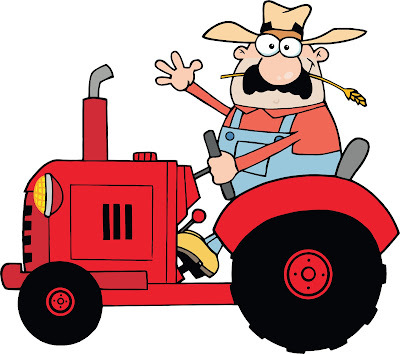 Our object, tell the kids, is to get the farmer by himself on the left side of the equation. Remind kids that anything you do to one side of the equation, you do the same thing to the other side of the equation. In order to move anything, you must use its OPPOSITE sign,so you can subtract 2x on the right side because it is a positive. 4x -2x -7 = 2x-2x + 15. This leaves the simplified equation of 2x-7 = 15. Using my tagalong theory (see blogspot under math tag) -7 is along for the date as a chaperone. We must add +7 (his opposite) to both sides. 2x-7 +7 =15 + 7. Result: 2x = 22. Now we go to divorce court (see blog). We must divide the properties equally on both sides. 2x/2 = 22/2. We can do this because we can do things to both sides of an equation. The 2/2 is really ONE, so x=11. 3. 36 + 19b = 24b + 6. Can you find the farmer? He's b this time. So, the first step is to move 24 b to the LEFT. 24b is a positive guy, so we have to subtract him from both sides. 36 + 19b -24b = 24b -24b + 6. Simplified this is: (19b -24b = -5b) (bigger guy with sword wins the sign), so 36 - 5b = 6. We must left the farmer stand alone, so we are going to subtract 36 (since he's positive) to both sides of the equation. Almost final result: -5b = 6 - 36. Leaving: -5b = -30. Back to divorce court. We are going to divide both sides of the equation with -5. Result: -5/-5b = -30/-5. Because all numbers have negative signs or light sabors, they cancel each other. (or -5/-5 is ONE). Final result b= 6. If you are trying to teach this concept to a visual learner who hasn't learned the lessons from my algebra blogs, this student will be basically lost. They will not be able to go on to graphing equations without the SILLY STORIES foundations. Some kids just see numbers and know what to do with them. Visual learners need stories.